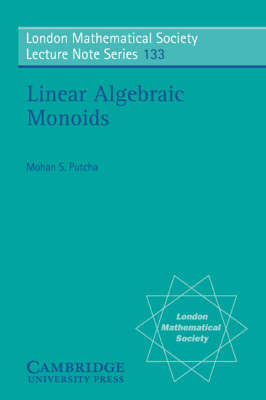 This book provides an introduction to the field of linear algebraic monoids. This subject represents a synthesis of ideas from the theory of algebraic groups, algebraic geometry, matrix theory and abstract semigroup theory. Since every representation of an algebraic group gives rise to an algebraic monoid, the objects of study do indeed arise naturally.